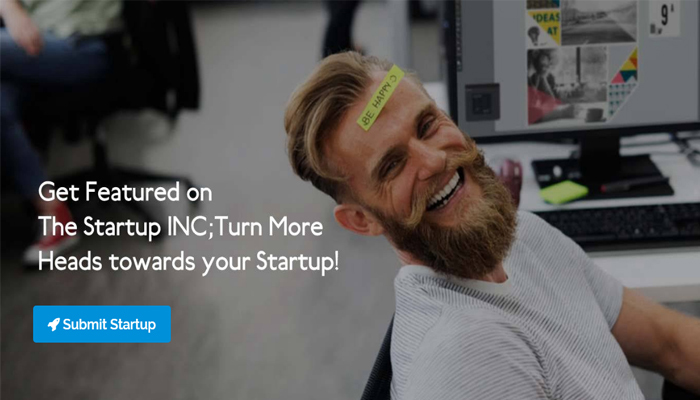 Bengaluru based Startup – The Startup INC, a platform for small businesses to list out their Startup to attract investors. It’s a fast growing Startup directory and helping a wide range of small businesses from all across the globe to increase their presence. We have asked a few questions from the Founders, Aditya Mishra, & Vineet Gupta and they both had replied significantly regarding this great idea and their complete journey to setting-up this platform. Here are the answers and the complete story behind this amazing Startup. 1- When and how did you start? I would like to thank StoryToday for giving me an opportunity to share about our Startup. From last few years I was willing to start something of my own. It was in June 2017 that I started my Startup – “The Startup INC” – startup listing website. During my job as an internet marketer I have to lot of marketing activities. One of the things I do is creating brand awareness of the company I am working with. I don’t know the exact date but gradually a thought of starting the Startup Listing Website got seeded in my sub-conscious mind. I started looking at some of the similar website with more intent, as in to find out what exactly these websites are doing. What problems can I solve if I start something similar? How I can help budding entrepreneurs? One day I decided that now I need to start with this website, as there are many startups in the market who need helps in spreading awareness about their brand, they need to reach to their target audience and investors. Also, I saw good earning potential in this startup model. My inspiration was that I always wanted to start something of my own, I found The Startup INC to be a good opportunity to help startups and in return earn good returns. 3- Brief about organization and founding members. The Startup INC is the fastest growing Startup listing directory on the web. We help Startups reach their target audience & pitch their idea to the Investors. If you wish to get your started listed on our portal you can send the details by submitting the form on this page. I started The Startup INC along with my friend and ex-colleague Mr. Aditya Mishra. I have the experience of working in offline sales and marketing, digital marketing. The combined experience goes over 7 years. Aditya Mishra is a young and energetic personality, having a combined experience of over 4 years in sales and digital marketing. I admire him for his never say die attitude. He is a guy who easily fits in to a startup culture. He is mostly seen working till 1:00 am – 2:00 am during weekdays, and till 3:00 am – 4:00 am during the weekend. Me, and my colleague Aditya, were willing to start something of our own since long because we didn’t wanted to do the job for whole life. While looking out for opportunities an idea to start “The Startup INC” came to our minds and we started it. Since our inception our aim was to help startups in reaching to their target audience and help me in getting the funding from the investors. We have started listing the Startups on our website. To achieve this initially we use to email to the Startups introducing them about our portal. We also did social media marketing for this. But now we are getting many inbound startup submission that means, we don’t have to reach out to the startups to get listed on our website. They are reaching out to us, to get their Startup listed. Soon we will be making the necessary provisions so that Startups will be able to connect with the investors, who are looking for potential startups to invest in. We also have plans to help startups by connecting them with the candidates who are looking for jobs. Many more such ideas and plans are there that we will be executing with time and proper planning. We are a self funded startup. We are investing what we earn from our jobs. For growth we are prepared to invest over 75% of what we will be earning. Biggest challenge is to reach the masses in the shortest period of time. To achieve this it’s important that we align our marketing with the desired goals. Participating in discussion forums like Quora, Reddit, etc. The most important advice what we can share is to believe in your idea. If you think what you are doing can help someone, it can resolve some real world problems, then at-least you are working on something useful. If not, then better to think of something useful – that makes the life easy for other people. Once you are sure you are on the right track as far as your startup idea is concerned, then all you need to do is to create awareness about what you are doing. But, this is not an easy task, there will be many challenges. What you need to ensure is that you are consistently and persistently making the necessary efforts in order to turn your IDEA into a REALITY!